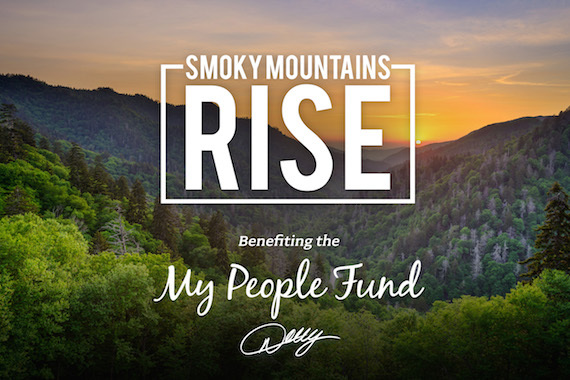 Chris Stapleton, Chris Young, Big & Rich, Michael W. Smith, Amy Grant, LOCASH, Chris Janson and Montgomery Gentry are just a few of the new names added to Dolly Parton‘s telethon Smoky Mountains Rise: A Benefit for the My People Fund. Reba, Kenny Rogers and Alison Krauss were previously announced. The event is set for Tuesday, Dec. 13 at 8 p.m. ET. Three new broadcast partners have also been added, including AXS TV, RFD, and The Heartland Network. In addition, USAToday.com and USA Today National Networks to live stream the telethon on their affiliate newspaper websites. Smoky Mountains Rise also will be simulcast across multiple radio chains, including iHeart Media’s digital and select on-air platforms, Cumulus Media’s NASH Nights LIVE, TuneIn’s Country Roads channel, and several other platforms which are set to be announced shortly. The nationally-broadcast, three-hour telethon seeks to raise money for the Dollywood Foundation My People Fund, established by Parton, The Dollywood Company and Parton’s dinner theaters in the wake of last week’s wildfires in the entertainment icon’s home area of Sevier County, Tennessee. All of the artists are donating their performances to help the effort.